Nvidia on Friday introduced its fastest graphics cards to date, which will be able to play back 3D movies on PCs and bring more realistic images to games. The new graphics cards, the GeForce GTX 480 and GTX 470, are based on Nvidia's new graphics-processing-unit architecture called Fermi, which was announced in September. The GTX 480 has 480 processing cores on one GPU, while the GTX 470 has 448 cores. The GTX 480 could be the fastest graphics card in the market, and it outperforms rival Advanced Micro Devices' fastest ATI Radeon HD 5870 cards, said Kelt Reeves, president of enthusiast PC maker Falcon Northwest. The card hits new highs of GPU performance, especially in installations where multiple graphics cards are used in systems. In Falcon Northwest's benchmarks for the game Crysis, one GTX 480 displayed high-definition images at 30 frames per second on a 24-inch monitor, and two GTX 480s displayed at 58 frames per second. 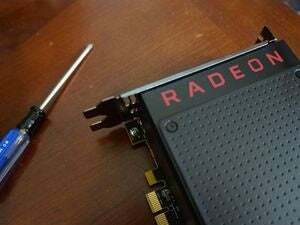 By contrast, a single ATI Radeon HD 5870 in the same tests yielded 31 frames per second, and two 5870s scored 44 frames per second. But the speed benefits are accompanied by high levels of heat generated by the card, which can make systems very noisy, Reeves said. As more heat is generated, the card's cooling fans need to ratchet up, which generates more noise, Reeves said. "Nvidia has hit a power and thermal threshold that we've been warning them they were heading towards for years," Reeves said. Jon Peddie, president of market research firm Jon Peddie Research, said that while the GTX 480 runs hot, it's silent. He also said that all new CPUs and GPUs have temperature sensors that shut down the chip in case it gets too hot. Bryan Del Rizzo, an Nvidia spokesman, said the GTX 480 is bigger, so it pulls more power than the earlier GTX 285, but he also said that claims of the chip generating excessive heat is "hogwash." A lot of the benchmarking results depend on the version of the card being tested and its driver, and may not corroborate with other testing results. have proper airflow for quicker cooling, Del Rizzo said. Most modern desktops have effective heat-dissipation mechanisms to deal with the level of heat generated by the GTX 480. He also said the card has technology to clock down the GPU's speed in case the card overheats. Nevertheless, the heat is an inconvenience for Falcon Northwest, which had to redesign systems to improve airflow to cool down the graphics cards and other system components quicker. "Two cards placed next to each other in an SLI configuration is where they start ... hitting these heat and noise problems," Reeves said. SLI technology helps multiple graphics cards work together in a system to scale graphics performance. The company has no immediate plans to offer systems with three GTX 480 cards in PCI or SLI configurations due to "the massive amount of power pull and resulting heat," Reeves said. Despite disagreements on heating, Reeves and Nvidia agreed that GTX 480 will bring the best gaming and multimedia experience to PCs of any card on the market. The native support for DirectX 11 tools should provide for realistic images and sound when playing games or watching movies. DirectX 11 includes a set of APIs (application programming interfaces) to improve multimedia on Windows 7 systems. Nvidia also said parallel programming tools will allow breaking up of tasks over existing CPUs and GPUs to improve graphics and application performance. The Fermi chips will be compatible with Nvidia's CUDA development environment, which helps developers write parallel code. In September, Nvidia showed off a Fermi chip with 3 billion transistors and 512 processor cores. Though the GTX 480 does not include as many cores, the Fermi architecture is capable of supporting up to 512 cores, said Hector Marinez, an Nvidia spokesman. "For GeForce GTX 480, we decided to [put] 480 cores in order to support the broadest availability at time of initial launch," Marinez said. More graphics cards for desktops and laptops based on the Fermi models will be released later this year, Marinez said. The GTX 480 is priced at US$499, while the GTX 470 is priced at $349. The cards will become available in April.